Alex the Jester is a natural for family festivals, art festivals, county fairs and other festive gatherings! He’ll bring the alluring magic and colorful costume of a medieval court jester to amaze and delight audiences from the very young to the young at heart. His wacky one-man show is an extravaganza of visual spectacles, musical capers, daring stunts, mind-bending sight gags and physical feats! A New England entertainer with a performance that transcends languages and cultures, Alex has captivated audiences around the world. 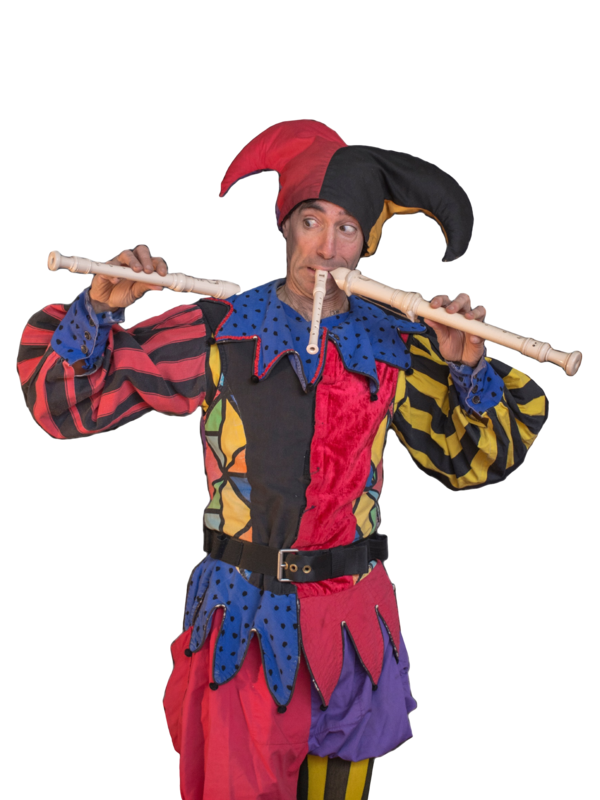 Whether it’s your town’s fall festival, an international arts festival or a summer music and arts festival, Alex the Jester will stand out in the crowd with his personable, warm and engaging style. His performance expertly blends the mystique of medieval times, of kings and courts, with modern day sensibilities and humor that the entire family will enjoy. His show is appreciated on many levels. There are high-brow elements to appeal to adults and crazy sight gags that will delight children. Everyone will laugh, marvel and have a fantastic time. Alex’s act is so different, it won’t duplicate or compete with other acts on your program. People will talk about it and tell their friends. It is an attraction. Wouldn’t youwant to see a funny jester? Yet hardly anyone ever gets the chance to chuckle at a true fool in curly boots. Alex the Jester will work with you to custom tailor his unique performance to perfectly match the needs, requirements and personality of your event. For family-friendly entertainment fit for a king’s court, an arts festival or a county fair, reserve Alexander, King of Jesters!